Very well know view of the Tre Cime in the dolomites range in Italy. I decided to include a foreground (the hiking path) in my image, that's something different from what we normally see from other compositions of this place, sadly the light in winter isn't coming on the path, but I still think it's an interessant leading line in the image and give more depth. 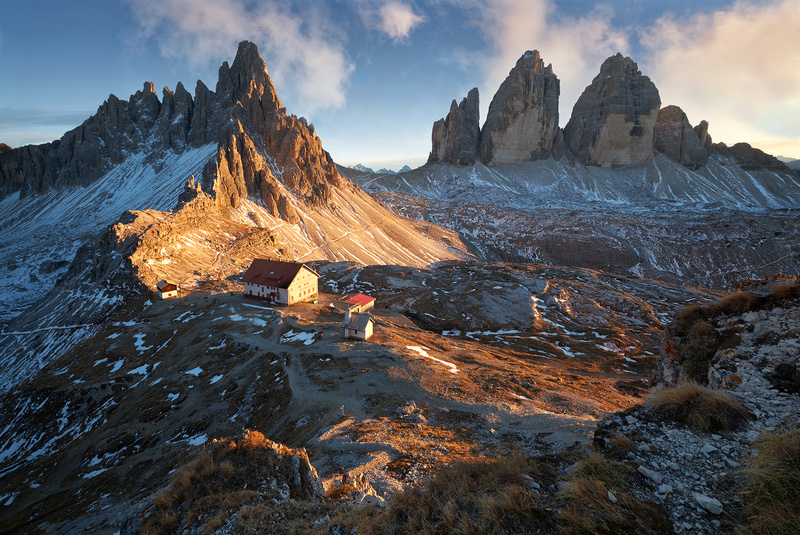 This place is one of the many places in the Dolomites that are registered on the unesco list. the highest cime is the Cima Grande in the middle she is 2 999 m tall. Your eye for composition is remarkable! Perfect lighting conditions and everything amazingly natural! Sunset on the "Cap Fréhel"